Isaac Morley was an early member of the Latter Day Saint movement and a contemporary of both Joseph Smith and Brigham Young. 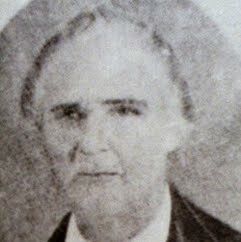 He was one of the first converts to Smith's Church of Christ. Morley was present at many of the early events of the Latter Day Saint movement, and served as a church leader in Ohio, Missouri and Utah Territory. Morley was born on March 11, 1786 in Montague, Massachusetts, one of nine children of Thomas E. Morley and Editha. He served in the War of 1812 from 1812–15, and later held the position of captain in the Ohio militia. In June 1812, Morley married Lucy Gunn in Massachusetts, with whom he had seven children. Some years after becoming a member of the LDS church in 1830, he practiced plural marriage, taking Leonora Snow and Hannah Blakesley as his second and third wife in 1844 in Nauvoo, Illinois. Blakesley bore him an additional three children. Other wives included Hannah Knight Libby and Harriet Lucinda Cox, married 1846 in Nauvoo, Hannah Sibley and Nancy Anne Bache.